I think it would be a little cheeky if I were to approach you with IDM, trip-hop and DnB extraordinaire Amon Tobin and flag the very old-news that he's incredible. With a catalogue reaching back into the furthest parts of the 90's, old Tobin has been pumping out some of the best experimental electronic music to be found for - and it makes me feel incredibly young to say this - as long as I've been alive. There's been no sign of restraint, either, as the round of end-of-year lists in 2011 saw his most recent LP, ISAM, clasp hold of surprisingly low numbers. With good reason, of course: it's an absolutely jaw-dropping mindfuck. In fact, I'd be remiss to leave out the fact that it was one of the key albums in accelerating my tastes towards the weird (and the wonderful) notes that routinely reach my ears today. 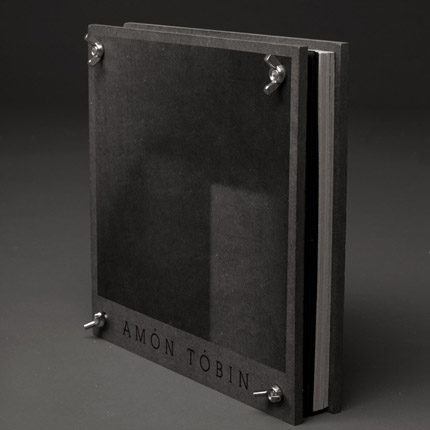 Very recently, Amon Tobin released a boxset containing seven CD's, six vinyls and two DVD's of live, remastered, remixed and unreleased material. Suffice to say, I've been very eagerly trawling through it this past week, and I can now safely state that it's the best thing that's ever happened to me. It's not perfect, by any means. In fact you could easily write off whole CD's (London Metropolitan Orchestra recordings I'm looking at you. You butchered some of those tracks!). 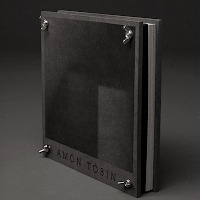 Nevertheless, it's given me the opportunity to fall in love with Amon Tobin all over again. The live version of "Lost and Found," for instance, is paramount to a religious experience. Likewise, remixes by the likes of Colin Stetson, Lorn and Bibio offer up an incredibly varied take on Tobin's signature sound. While the ambient portion may be a little so-so, the rest of the unreleased tracks - which are often surprisingly heavy - could have very comfortably filled out a quality album by themselves. As an example, it seems Tobin has taken to remixing DnB madmen Noisia. Standing at over 150 tracks, most of which are incredible, there's honestly no reason to miss out on this release. Especially since (my sources inform me...) there are digital versions floating around the darker corners of the interwebs.